For many the ‘book of the year’. More like an odyssey than a tale, lived by the author in the ‘Darien Gap’, impenetrable region between Panama and Colombia, separating the two Americas. To cross it, the author actually used a raft, pushed by a propeller mounted on the crankshaft of his… BMW. The book has been made into an independent film. And both can be bought online. 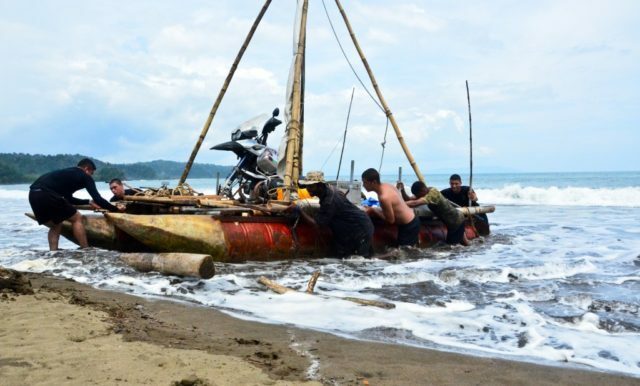 Not many bikers have successfully crossed these few hundred kilometres of jungle and swamp, but only Dylan has done it transforming his bike into a ‘marine motor’ which propelled a raft, made of 10 petrol barrels and bamboo, through the Pacific, facing high seas and strong currents. An adventure with a capital ‘A’. With tragic moments, like when the engine broke down, making the raft drift for days towards the Galapagos, and moments of great human solidarity, from the police to international thieves… Even dolphins came to his aid. When the road ends, as the title says, anything can happen and nothing can be foreseen. The book itself is not linear, as Dylan weaves seamlessly random parts of his global journey. 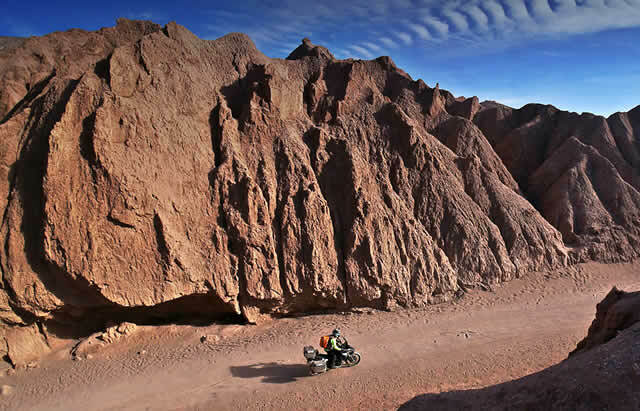 The naked and unbridled adventure is the main topic and we are sure that those of you who prefer reading reports of bike trips will love this book. Martina Zuercher is the co-author and publisher. After writing down the story, Dylan and Martina started looking for a publishing house interested in the book, but then they opted for an alternative route: founding one themselves under the name of Zürcher Publishing. 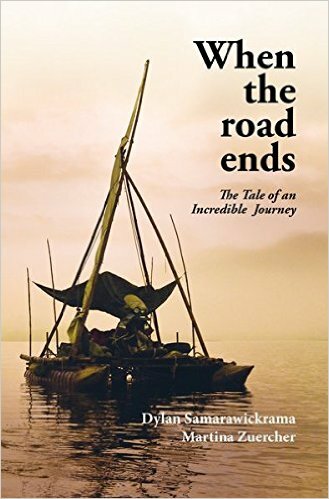 Dylan tells of a poor and troubled childhood, spent in Sri Lanka, from which he dreamed to escape in the saddle of a motorbike. Usually this does not happen… but at a certain point his life changes direction and we find him in Switzerland, many years later, in the saddle of a BMW 1150 GS, ready to face the world with a small stove, a tent, some clothes, and eighty countries in front of him to cross. Almost three years after the beginning of his journey, Dylan has crossed 4 continents and ridden for over 170 thousand km. Panama is the last frontier before South America. In front of him Dylan has Darien, an impenetrable jungle with no roads. Dylan decides to build a small raft to brave the Pacific Ocean. To propel it, with the help of a mechanic from Panama City he modifies the crankshaft of his BMW and mounts a propeller in place of the back wheel. His journey lasts six weeks. 800 km in a very dangerous sea, especially for him, who had never sailed there. “A perfect story to transform into a blockbuster film” commented Markus Bauer, founder of a small but upcoming Austrian production house,LM.Mediabased in Linz. The crew goes to Panama with Dylan and films the meetings, the fears, the people’s kindness, the positive thinking, the faith that allows him to overcome difficult challenges. Images: An assortment of black and white pictures and many maps. Price: 20 pounds. Since a few months ago you can buy it together with the film based on the book at about 50 euros.